Red Tailz is a family owned business. Owner and Operator, Mike Bingham has a passion for catching and boiling crawfish. After many years of buying crawfish and boiling them for friends and family, he realized his calling and determined to do the same for others. Mike decided to utilize his property in Beaumont, TX to establish his crawfish ponds. Later, he leased another pond near the Fannett location. To keep up with the high demand of crawfish, Mike continues to grow the farm in acres and quality. 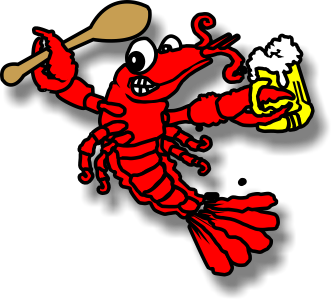 Red Tailz differs from it's competitors because their crawfish come from their farms therefore, the crawfish are graded for size. A special thanks to everyone who has purchased crawfish from Red Tailz and for helping this new company get started. We look forward to serving you, your friends, and your family in the future.